I'd like to say a big thank you to all of you who joined in our Christmas Event. I hope you enjoyed it and want to take this opportunity to wish all our followers a Merry Christmas and Happy New Year. I'd also like to say thankyou to all our sponsors and finally, my wonderful Design Team. You have provided great inspiration and support throughout the year and I look forward to the New Year with you all. So now, let's announce the remaining winners. The winner of Day 10 winning a £10 gift voucher from That Craft Place is Kat. Congratulations Kat, email me on cardsformen@donnasden.co.uk and I'll pass your details on to the sponsor. The winner of Day 11 winning a £10 gift voucher for Stampin Up is Ardilla. Congratulation, Ardilla, email me on cardsformen@donnasden.co.uk and I'll pass your details on to the sponsor. The winner of Day 12 winning a 6 pack of Promarkers from Letraset is Margreet. Congratulations Margreet, email your name and address to cardsformen@donnasden.co.uk and I'll send out your prize. .....which is our final day of our Christmas Event. Boohoo I here you cry! We will beback in the New Year with challenges, the first one being 7th January 2013 and hope to see you all back with us joining in. Today's prize is sponsored by Letraset and the prize up for grabs is a pack of Flexmarkers. Today's host is Kym so pop over, leave her some Christmas Cheer and you may be the luck winner. I am an Independent Stampin Up! Demonstrator in Lancashire & surrounding areas. I teach large and small scrapbooking and craft classes. I can arrange parties in your home for crafting and non-crafting friends to suit your requirements, and where everyone is guaranteed to have a great time ! Today's host is Donna so pop over, leave her some Christmas Cheer and you may be the lucky winner. The winner from Day 9 winning 10 digi images from Bugaboo Digi Stamps is Janice. Congratulations, Janice, take a look at the website and let me have your choices on cardsformen@donnasden.co.uk. 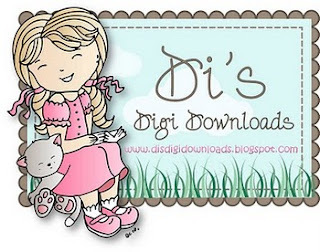 .....which means today's sponsor is Bugaboo Digi Stamps. The prize up for grabs is 10 (yes 10!) images and the host is Lisa. Pop over, leave her some Christmas Cheer and you maybe the lucky winner. 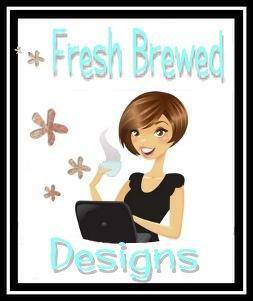 The winner for Day 7 winning 5 digis from Fresh Brewed Designs is Jane. Congratulations, Jane, take a look at the site and email me your choices on cardsformen@donnasden.co.uk. ....and today's sponsor is Kenny K.
The prize is 3 digis and today's host is Carole. Pop over, leave her some Christmas Cheer and you may be the lucky winner. ....and our sponsor today is Dr Digi's House of Stamps. Welcome to the brilliantly bizarre brain of Dr. Digi's House of Stamps. Here you will find Monsters, Aliens, Odd balls and Dundertons as well as many many more wonderful digital stamps. Our artist and founder cut his teeth in the craft world at the company "Just Inklined", where his unique digis made a huge impression. We're hoping to continue to entertain and amuse, with our growing catalogue of great value digis witha sense of humour. The prize up for grabs is 2 digi images and today's host is Viv. Pop over and leave her some Christmas Cheer and you may be the lucky winner. We appear to have had a glitch with Alan's comments on Day 4 and have been unable to select a winner. So there's still a prize of 3 digis from Scribbled Kidz to be had. Leave a comment on this post if you'd like to be in the draw. 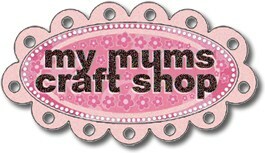 ....and the wonderful sponsor is My Mum's Craft Shop. The prize to be won is a £10 gift voucher and today's host is Sandra. Pop over, leave her some Christmas Cheer and you may be the lucky winner. .... and it's sponsored by Scribbled Kidz. The prize up for grabs today is 3 images and today's host is Alan. Pop over and leave him some Christmas Cheer and you may be the lucky winner. The winner from Day 2 winning a $10 voucher from Meljens is Rose. Congratulations, Rose, email me on cardsformen@donnasden.co.uk and I'll pass your details on the sponsor. I'm Tracey Malnofski, the artist and owner of The Stamping Boutique. My team and I are very happy to sponsor 2 Sketches 4 You. My store has been open since September 2009.I am currently a stamp artist for UnityStampCo. and I've worked for InStyleStamps, Squigglefly, and TheDigiShack in the past. I'm a professional artist and an active member of the Artist' Guild in my community. I have quite a busy household with a husband, 3 teenagers, 5 mini-dachshunds and an Appaloosa mare. It's noisy, but I love them all. I'm truly blessed. "The Stamping Boutique" is dedicated to quality products and original artwork. We not only provide wonderful digital images in our store, but also several lines of red rubber images. Our designers are chosen for their character and personality,as well as, their beautiful designs. We work hard to give you our very best. Thank you so much for having us as your sponsor this week. Today's host is Michelle, so pop over, leave her some Christmas Cheer and you may be the lucky winner. The winner from Day 1 winning a S10 voucher from Di's Digi Downloads is #1 Penny. Congratulations Penny, drop me an email at cardsformen@donnasden.co.uk and I'll pass your details onto the sponsor. The winner from Day 2 winning a $10 voucher from Meljens is Rose. Congratulations Rose, drop me an email at cardsformen@donnasden.co.uk and I'll pass your details onto the sponsor. Meljen's Designs (http://meljensdesigns.com) is a digital stamp company owned and illustrated by Melissa Jenkins. She illustrates whimsical, fun digital images inspired by her kids and family. The Meljen's Designs store officially launched on April 1 and it is steadily growing. The new store offers instant downloads, organized categories, and a search feature. 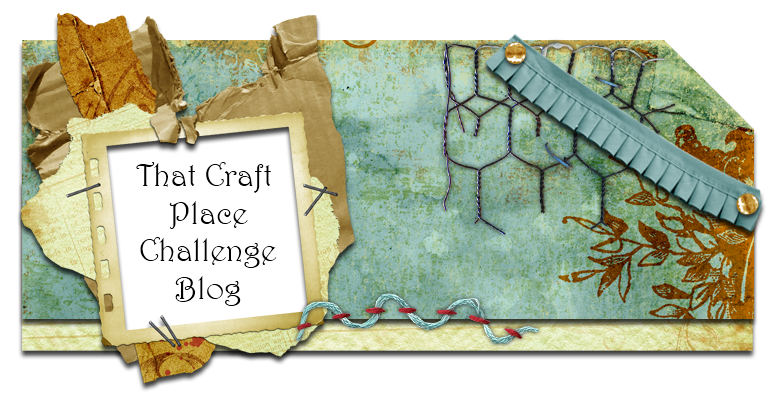 We have new releases along with a new challenge every Thursday, freebies every Mondays and a monthly Guest Designer at the Meljen's Designs Blog (http://meljensdesignsdt.blogspot.com/). Please visit the store to find more of Melissa's wonderful images! Today's host is Shirley, so pop over, leave her some Christmas Cheer and you may be the lucky winner. So I'm back with a round up of winners and top 3 for Challenges 21 through to 24. The winner of the Letraset Flexmarkers is #15 - Lindyloo. Congratulations, Lindyloo, email your address over to cardsformen@donnasden.co.uk and I'll post your prize out. The winner of the £10 voucher from My Mum's Craft Shop is # 54 - Anne H. Congratlations, Anne, please email me on cardsformen@donnasden.co.uk and I'll pass your details on to the sponsor. So there we are, all caught up. Don't forget that we have our special Christmas Event going on. From now until 14 December we will have a prize a day to give away. Check here each day to find out which team member is hosting the giveaway.